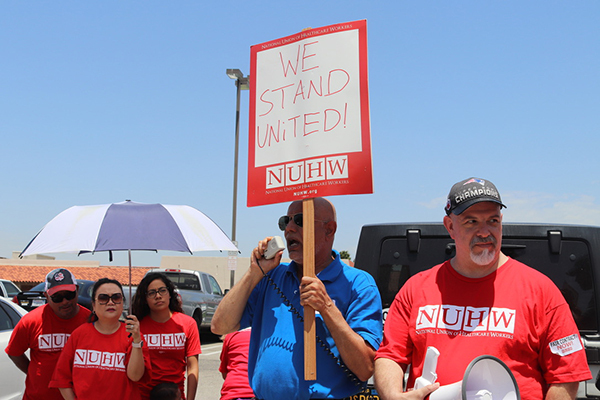 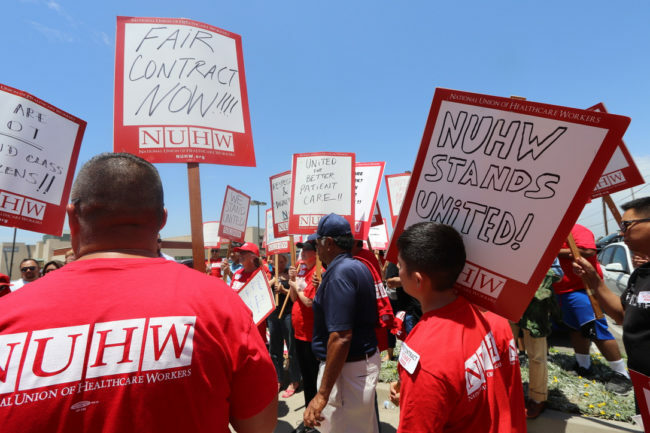 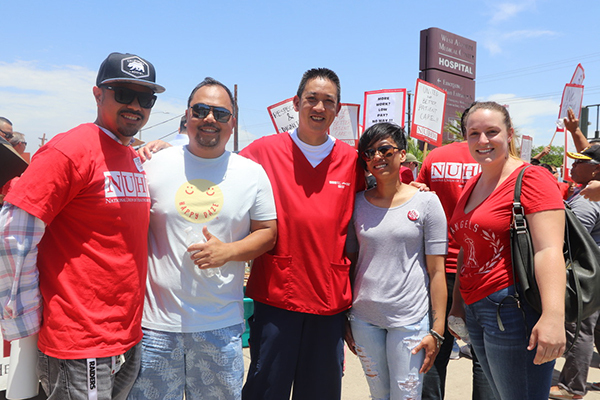 One year after forming a union, nurses and technicians at West Anaheim Medical Center staged an informational picket July 11 to demand better pay. 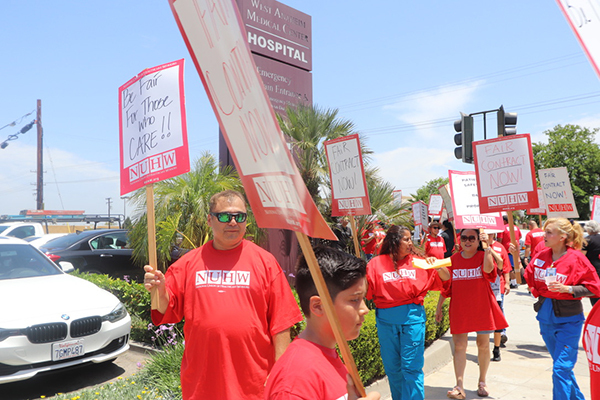 While West Anaheim is one of Prime Healthcare Services’ most profitable hospitals, caregivers there make less than their cohorts at nearby Prime hospitals. 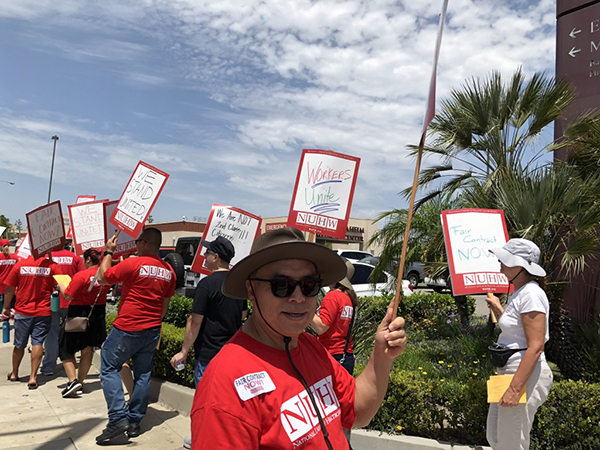 OC Weekly covered the picket, which was supported by local politicians, unions and Clergy and Laity United for Economic Justice. 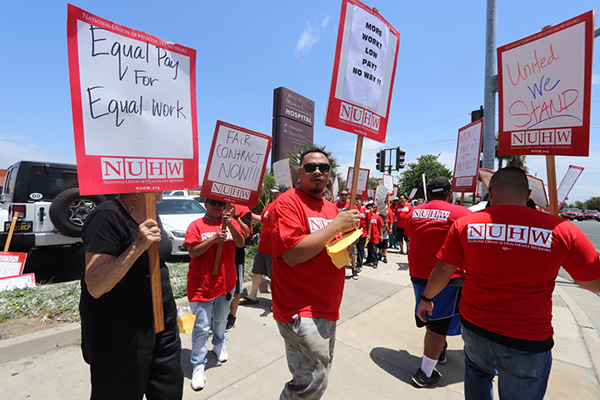 Prime pays technicians at nearby hospitals starting wages of more than $30 per hour, but is proposing starting wages of just over $23 per hour for technicians at West Anaheim. 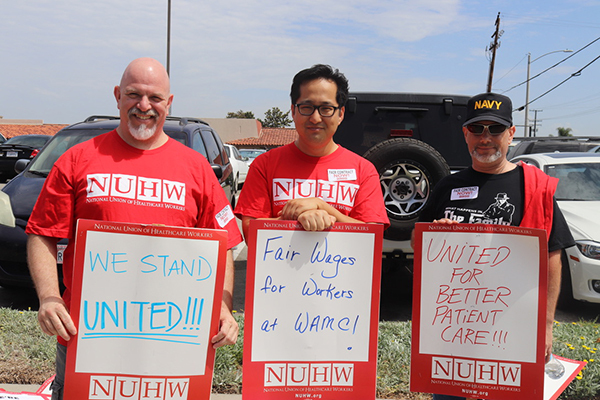 Workers, represented by the National Union of Healthcare Workers, are demanding wage parity with other local Prime hospitals.